•Pull back the thumb spring (22) a little and turn it to the right until the groove is in line with the breech wedge (24). •Remove the breech wedge by pulling it backwards. •Pull back the bolt handle (15) and hold it under tension. By holding the bolt handle the locking balls (12) are free of load. •Remove bolt by pulling it backwards. This should only be done by an authorized expert! •Screw off screwed conduit sleeve until it is possible to separate front and rear part. Do not warp the two bolt parts opposite to each other. 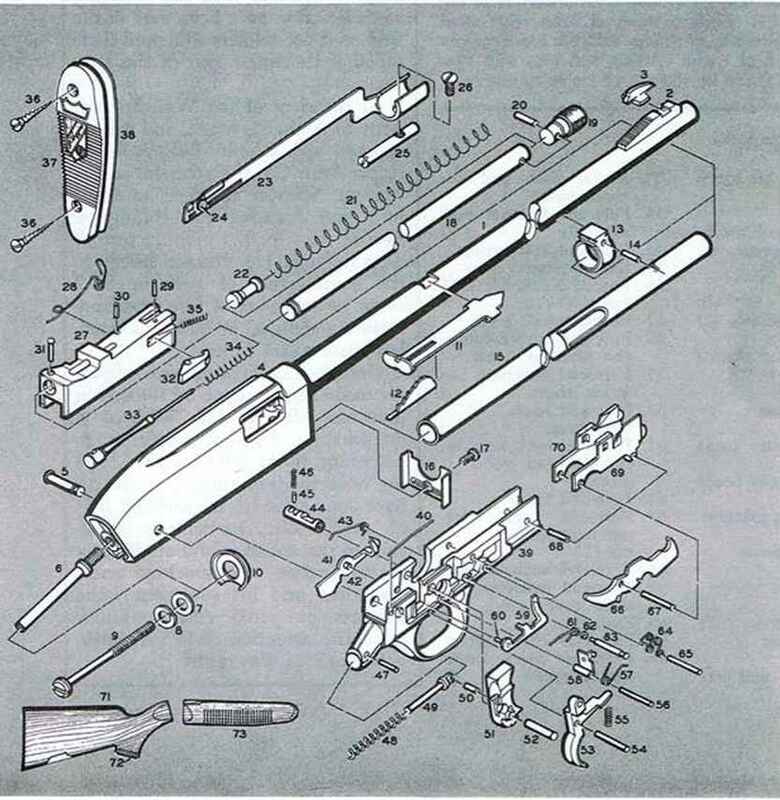 •Remove spring support and firing pin spring. •Remove retaining collar with safety pin by pulling it upwards. •Pull bolt clamping sleeve out of the rear bolt part. To do this you have to overcome a considerable resistance. •Press out the locking balls (12) to the inside. 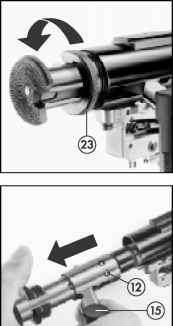 •Press plunger out of the bolt clamping sleeve. •Remove driving pin out of the bolt clamping sleeve by pulling it upwards. •Remove firing pin by pulling it backwards. •Screw off thumb spring (22). •Pull nut plate and spring for thumb spring out of lateral groove. grease them a little they will not fall out). •To reassemble the bolt parts attach the screwed conduit sleeve with its teeth opposite to the direction of fire to the rear bolt part thus connecting it to the chamber. •The screwed conduit sleeve has two opposing threads each of which is connected to the referring bolt part. Tighten screwed conduit sleeve manually until it is no longer possible to turn the chamber. •The tip of the firing pin must protrude over the action face of the chamber. 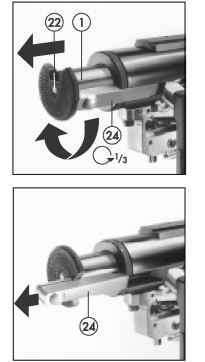 The Fortner bolt is inserted into the receiver in reverse sequence of the removal. How to remove bolt anschutz? Are dummy rounds safe in fortner anshutz?